Purpose – Used to make offerings to the goddess. Site for the ‘cheese-stealing’ to take place. Devoted to Artemis (goddess of fertility and childbirth) Festival: May/June. Rite of passage festival for Spartan youths who live in the wild and then attempt to steal cheese from the sanctuary while being whipped by the crowd. According to Pausanias it became a substitute for human sacrifice. Structure – Currently in ruins, however it was built with a large alter and sacred space. Stood between Limnos and river Eurotas at edge of town. Simple construction àbricks and wood on a stone foundation. Roof structure gabled (triangular) covered with painted tiles. Key features – Alter, had been modified several times to expand. Swamped with reeds and willows. Built up above flood level. Decorations – Written sources indicate there were figurines of the goddess in the temple and the remains of such bronzes as well as terracotta, ivory and bone carvings, and lead figures have been found to support this. Structure – In the shrine's earliest form, there may not have been a structure at all. In the late 7th century, a monumental structure was constructed at the site of the shrine. The temple was built on a mound, had a square step pyramidal structure in style of hero shrine and stood eight meters tall. Purpose – Worship and sanctuary. Dedicated to Apollo and Hyakinthos. Location of festival of Hyakinthia. Structure – Circular alter. Throne atop the temple. Shrine dedicated to Apollo à excavations reveal base of throne and retaining wall. Designed in Ionic style, consisting of slender and intricate spirals mimicking Egyptian architecture. Had a smaller base with a more circular profile that was often more ornate than the Doric style. Decorations – Votives, statue of Apollo. Carvings show lotus flowers and other sculptures. What impressions does Alcman’s poetry give us of the Spartan way of life? Alcman’s poetry gives the impression that the Spartans were invested in the love and beauty of life as opposed to the military focused society best known of the Spartans. What Spartan values does it reflect? Tyrtaeus was another important Spartan poet. His poetry was full of martial spirit. Find out some information about his life and works. Why was his poetry significant? 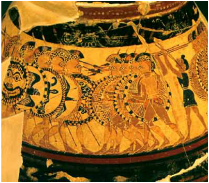 Tyrtaeus’ poetry describes much of the Spartan’s military practices and armour that provides evidence for other aspects of Sparta’s history. In addition to this, he provides an insight into the Spartan military values and social attitudes. - Wrote mainly about foreign policy. - As an Athenian writing about the war between Athens and Sparta, Thucydides is not a neutral observer. His conclusion about the outcome of the war is that it resulted from Athenian errors rather than the skills of the Spartans. - Information is provided about the constitution, the helots and about Spartan warfare. - The only Spartan general who gets praise from Thucydides is Brasidas who is regarded as “un-Spartan”. There is bias here as Brasidas defeated the army led by Thucydides as general at Amphipolis in 422 BC. It is in Thucydides’ interest to show that an extraordinary Spartan leader defeated him. - Wrote “the constitution of the Lacedemonians”. - Gives us information on the military system and insight into social customs and laws. - Admired the Spartan military and the system that produced it. 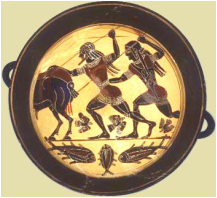 - An Athenian at a time when Sparta was at the peak of its power in the beginning of the 4th C. BC, Xenophon wrote in praise of Sparta. He had fought with the Spartans in the Battle of Coronea in 394 BC. - Excessive praise of Sparta and neglect of negative aspects of Spartan society affect the reliability of his work. - Sparta is compared with other places and is shown to be superior. - Aristotle is “critical of Spartan institutions and paints a vivid picture of the complete breakdown of Spartan society in his own time - a dwindling citizen body, extreme inequality of property with two-fifths of the land owned by women, and prevailing greed and luxury.” Fitzhardinge. - Pupil of Plato and influenced by Plato’s ideas of Sparta. - However he criticises the system of land and ownership and the problems of maintaining a number of landholdings within a small elite group. - A travel guide for Roman tourists. He describes buildings and sites as they were when he visits them in 2nd C. AD. - A valuable source for archaeologists searching for lost remains. - Wrote “the life of Lycurgus”. - Gives a complete account of the Spartan constitution. - Plutarch wrote that the Spartans were taught as much reading and writing as was needed. - Wrote biographies to highlight the virtues of individuals. - Had access to many sources, but wrote a long time after the period of Sparta’s greatness. - Drew on an established tradition about Sparta. 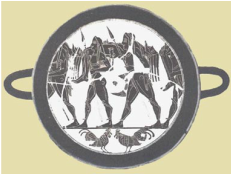 - Provides much useful detail about aspects of Spartan society. - Attributes much of Spartan society to Lycurgus. - Idealises Sparta’s great past and attributes its fall to corruption and loss of virtue.